Javier Estades with one of his company’s newest creations, the Romeo by Romeo y Julieta Piramide, Cigar Aficionado’s No. 3 cigar of 2012. Javier Estades sits in a conference room surrounded by stacks of cigar boxes for the brands he controls in the United States. Since arriving two years ago to take the job at the U.S. subsidiary of the world’s largest hand-rolled cigar company, Altadis S.A., Estades has overseen a transformation of those brands, redesigning the packaging, reformulating some of the tobacco blends and implementing modern informational marketing and sales tools. But you won’t hear him using the word “I” very often; his comments and observations revolve around the team at Altadis U.S.A. Inc. His responses to questions are laced with today’s common buzzwords in the corporate world—empowerment, innovation—and he is quick to attribute all the changes to the team that he helped install and has been working with since he took the top job. For an executive steeped in the consumer goods market in Spain, the move to America in 2011 was a bit daunting. 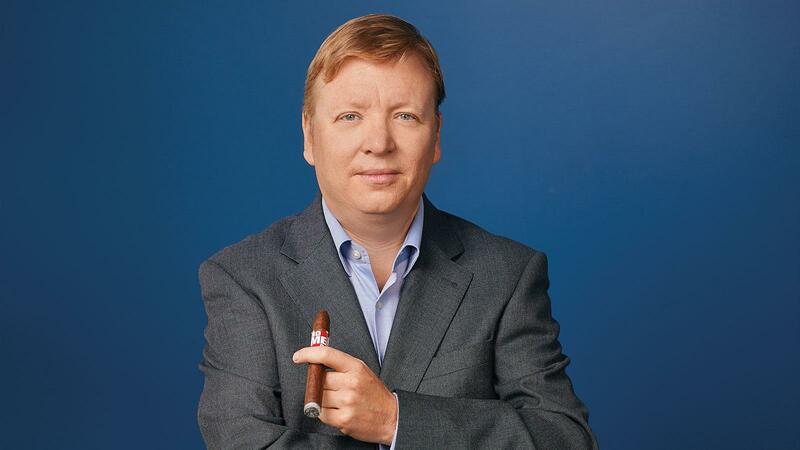 He stepped into a job with one of the behemoths in the U.S. cigar market, and with some of the most revered and well-known brands in the United States: Montecristo, Romeo y Julieta and H. Upmann. While the country was beginning to show some signs of coming out of the recession, the economy was still not in great shape, and the assault on tobacco was never greater. And, there was a concern that the consumer was moving away from the kinds of cigars the company had always made. With Tabacalera de Garcia Ltd., the company’s manufacturing facility in La Romana, Dominican Republic, and the La Flor de Copan factory in Honduras churning out 40 million to 50 million cigars a year, the main goal was to keep those factories humming and keeping demand high for the company’s cigars. Estades not only accepted the challenge, but now seems comfortable in his role, and excited about the direction Altadis U.S.A. is headed. Estades sat down recently with Gordon Mott, the executive editor of Cigar Aficionado, in Altadis U.S.A.’s headquarters in Fort Lauderdale, Florida. Mott: You run one of the biggest premium cigar companies in America, but very few people know you and where you came from. Can you tell us about your background? Estades: I have had the privilege of working in this industry for the last 10 years. Before that, my background was in fast-moving consumer goods companies. I started as marketing manager at Altadis in Spain in what we call the popular [priced] brands, or machine-made cigars. I got several promotions and I became responsible for the commercial operations of all mass-market and premium cigars in Spain. After Imperial Tobacco acquired Altadis, and before coming to the U.S., I was responsible for the premium cigar operations in Spain as well as some responsibilities for the Cuban machine-made brands internationally. For the last two and a half years, I have been responsible for the premium cigars in the U.S.
Q: When you were offered the job here in America, what was your first reaction? A: I thought it was a great opportunity. The U.S. market is the largest premium cigar market in the world. I would also say it’s the most competitive one. Having the opportunity to come here, and to work with the team, it was professionally a real opportunity for me. So I was very happy for the opportunity. Q: For many foreign executives, their understanding of the size and scope of this market hasn’t always matched the reality of just how big and complicated a market it is. Have there been any surprises for you? A: I’ve learned that the consumer in the U.S. is a bit different than we have in Europe. The consumer here is very knowledgeable. I mean they’ve got quite a lot of experience in terms of the premium cigars. And they’re also very demanding. They want two basic things: outstanding cigars and a very competitive price. And that is key. That’s something that’s very different here from European markets like Spain. Q: Has that realization of the U.S. market influenced your strategy choices? A: One of the first things that I did when I got this position was to understand the consumer. We have invested quite a lot over the past two years in doing consumer research because we really wanted to understand what were the drivers, to engage the consumer. We discovered that the three most important things are quality and taste profile, a good draw and price. That information really has been valuable, not only to me, but I would say for the team as well. We are using that information to try to identify opportunities in the market, always having the consumer in our mind. Q: Altadis U.S.A. has made some obvious changes in its brands, some of which had to start before you had that information in hand. But you’ve hit some home runs already, and you must have begun to change the process immediately. What was the first step? A: The first step was to revisit our brands. We have 68 brands including line extensions in our portfolio, and it is just too difficult to invest in everything. We knew that Romeo y Julieta and Montecristo, which are two of the most recognizable brands in America, would be a key to our success. It was clear that we needed to come up with a winning strategy and in order to do that we needed to prioritize, to make calls, to make choices. Because of our assets we have an extensive portfolio, but we needed to identify those brands that in our opinion have the highest potential. So that is one of the things we did. The second thing we did, and that is very clear in my mind, is that we needed to bring outstanding cigars into the market. So we had to come up with a new process, of identifying those new opportunities and identifying those new cigars. Now, all our experts get together regularly. We now work directly with the blenders, with the leaf purchasers, with the packaging guys, with the real experts at each level to leverage all that new information in the company. Q: Do you really bring them together in the same room? A: Absolutely. Absolutely. It’s new in the way we approach it. I mean the knowledge was in the company, but we have improved our ability to use that knowledge, and to transform that knowledge into concepts and into cigars. That has been a real step forward. And we’ve had some good successes, like with Romeo, where we are applying that process. Q: Walk us through that Romeo process. The creation of Romeo by Romeo y Julieta [Cigar Aficionado’s No. 3 cigar of 2012] is one of the most obvious changes in a brand from top to bottom, from the packaging to the cigar itself. A: First of all, Romeo is a very important brand, in fact the most important brand that we have in our portfolio. Q: Is it the largest selling brand? A: It is the largest selling brand in our portfolio. One of the things that was clear was that we needed to focus on those brands with high recognition. Romeo y Julieta is one of the brands in the United States with the highest recognition or awareness that we have. What we wanted and what we identified in Romeo, was that we wanted something new. We needed something more modern, more in line with the latest trends in the market. Our portfolio was missing a fuller bodied, more complex flavored cigar within the brand. We said let’s work on a concept to see what cigars we can develop that fit that opportunity. The team worked together. They come up with outstanding cigars. It’s very nice. It was complex, it was very different from the cigars that we had in the Romeo y Julieta brand, but also the packaging was very distinctive. It was more creative. We took some risks. But I think that it paid off and that we came up with something that people really appreciated and are enjoying. Estades, who took over Altadis U.S.A. Inc.’s premium cigar division in 2011, emphasizes a team-first approach in creating new handmade cigars. Q: Do you have the final say in each of those steps? A: Once we have determined what it is we want, the team comes up with different alternatives, and then it’s up to the team to try the different products and to approve those that are better. That team includes the leaf guys, the blenders in the factory, the marketing department and the packaging people. The beauty about this project is the consistency, in the sense that everything works in the same direction. But in order for that to happen and to be successful you have to have guidance about what it is you want to get. But for sure it was a very lengthy process. But we follow the right kind of steps until we have what is a winning proposition. Q: The changes actually seem to have happened relatively quickly. Am I wrong? A: The team was extremely engaged even though it was complex. But we made all the decisions in a very organized but effective manner. A: It was about a year. The team worked together. Of course I signed off on everything, but there was a team consensus. We needed something different. And this is what we were trying to do—bring new things to the market that are relevant for the adult consumers and for our customers. We have the brands, so what we need is to bring value to those brands through initiatives that bring innovation and new concepts, and then leverage this fantastic portfolio that we have. Q: What about Montecristo? When you took over, the brand had numerous line extensions—Montecristo Platinum, White—have you abandoned those? A: Montecristo is a brand that we are trying to elevate. It’s a brand that if you see the history and the heritage, it needs to play in the higher end of the market. But in order to do that, we need to come up with some initiatives that allow the brand to be credible in that market segment. This is why we have focused on the Epic. And in the future you will see more quality premium initiatives. Q: You are moving toward a fuller-bodied profile for Montecristo as well, aren’t you? A: Yes. If you want to be credible, you have to come up with something that is relevant for the consumers. You need to make also cigars that are in line with the trends. So we are trying to develop really good cigars for those brands. Q: We have noted that you have adopted a more modern look to Montecristo packaging as well, without losing any of the tradition. A: It is a combination of elements. By doing the packaging if you don’t have good cigars at a reasonable price, you know it’s not going to work. The consistency and the combination of all of the elements is what allows you to be successful in this market. Q: Let’s talk about H. Upmann. You’ve just come out with Legacy. Is that another element in the modernization of your brands? A: H. Upmann is another great brand that we have. We are trying to innovate with the H. Upmann Legacy, which is our newest initiative. That cigar has been produced in our factory in Honduras. The price point is very competitive. It’s basically in what we call the sweet spot. It’s between $6 and $8. We are very excited about this new launch because we really think that it’s a very good cigar at an incredibly competitive price. So as you can see we are touching on initiatives in those brands that we think have got the highest potential in terms of growth. Now our job is to find the right initiatives so that the consumers think that they are relevant for the market. Q: You said that one of the first things you did was prioritize with your three big brands: Romeo, Montecristo, H. Upmann. Are those the three you wanted to focus on initially? A: We do have some other brands that are important, like for instance VegaFina. It’s an international brand that is non-Cuban. We restaged that brand two years ago. And we are very happy with that brand because in that time we have almost doubled the sales here in the United States. Q: Doesn’t it sell well in Spain too? A: As a matter of fact, it is among the top three best sellers in Spain. It’s also got a presence in France, Germany and some other countries. It is a fantastic brand for those who are new in the premium market. It’s a mild cigar at an affordable price. We have some new plans for VegaFina too, such as the Sumum, which is a limited edition of VegaFina. Or even VegaFina Fortaleza 2, which is the latest thing. It is a cigar that is a little bit fuller bodied versus the standard brand. But we are happy about the performance here in the U.S.
Q: What percentage of VegaFina is sold outside the United States? A: We don’t release total sales volume, but I can tell you that about 80 percent of VegaFina production is sold outside the United States. Q: This may be difficult to discuss given that your parent company is involved in Cuban cigar production. How much do they get involved in this kind of project? They do own the brands worldwide, so how those key brands are presented here has some impact globally. A: Even though we are part of Imperial Tobacco [Group PLC] and part of the premium division, we run very separate operations. We have no contact and this business is run totally independent with a focus on the U.S. market. That’s how we operate. I don’t have any contact or involvement with them. Q: But they are global brands. Do you have to be sensitive to that reality as you move forward? A: If you see what we are doing in the U.S., the approach that we are following is quite specific for that country. What we are doing in the end is getting a sense of understanding about the brands in the United States. Basically, we are developing cigars that are very specific for this market. Let me give you an example. We have, for instance, the regional editions in Montecristo. This is something that we have developed for some consumers in some specific areas in the U.S. Those are cigars that we feel are best for those people, and are pretty much U.S. concepts. We have the New York regional edition, we have Texas, we have Las Vegas, and we have Chicago, which is the latest one. They are all unique blends, not the same cigar in a different box. And, the packaging is built on concepts that are unique for the states. By the way, you can only buy them in those states or areas. Q: On your website, there is a long list of brands that you produce. What are the plans for the other brands in your portfolio? A: We have some other brands that we are trying to revitalize: Gispert, Saint Luis Rey, Te-Amo. In the case of Te-Amo we launched Revolution, which is very innovative. Gispert and Saint Luis Rey are great brands. We are upgrading the packaging on Saint Luis Rey. It’s more modern, more up to date. It’s a great cigar at a very competitive price. But in the end, we are reviewing our strategies. What we want to have is the right brand for each of the price segments in the U.S. market. And I think that we have such a good portfolio that we can offer a different product to each consumer. And be competitive in that segment. We are trying to position those other brands to accomplish that goal. Q: Is it the same process for all these brands? You look at the blend, decide to change the blend or not, then you look at the packaging, update or modernize it? Are you doing that for all these cigars? A: The process and the steps are the same. But what’s important is if we put a cigar in the U.S. market, it needs to have a story. We need to have a reason for why we are doing that. With some initiatives, the cycle is shorter. Sometimes we don’t change the blends because we are happy with what we’ve got. In those cases, the only thing we are focusing on is in modernizing the packaging. But again, everything needs to be done thinking about the adult consumer, making sure that we help our retail customer with products they can sell, and we can help them to maximize their return. And there is a rationale for that. Q: Are you going to change the blend in all of the brands? A: No, absolutely not. We have fantastic cigars, and we want to keep the base that has been so successful in the business. Look at Saint Luis Rey. It’s the same great Saint Luis Rey we’ve always had. People love it. But we have updated the packaging. Here let me show you. This is brand new, a line extension for Saint Luis Rey. We call it Generation 2. So, we are trying out new things to do to help the brand. This is a fuller-bodied Saint Luis Rey. The traditional Saint Luis Rey was medium-bodied, so this newer Saint Luis Rey is fuller bodied, a completely different blend, but with the same brand identity to play off those same sweet spots. This is the kind of initiatives we are doing with these other brands too. If you want to be successful, you have to leverage the brands that we have in our portfolio and make sense of it. Q: Altadis brought some brands to market in the last five years or so. Are you going to continue supporting those, or will you be dropping any brands in the portfolio? A: Some brands will rationalized because we need to make choices. We cannot invest in and sustain all our portfolio. Some brands are being studied right now and some products will be rationalized. Q: Does rationalized mean dropped? A: Yes. Dropped. But not only brands. We are constantly evaluating our portfolio because if we put new things in the market we also need to take out some of them. This is a constant process. That will even be true with some front marks within a line. It may be a certain size that we don’t have or there’s a certain size that isn’t relevant anymore. It’s an ongoing process. Q: I’m looking at the humidor here. I don’t see any Warlock. I don’t see any Mi Dominicana. I don’t see any Por Larrañaga. I mean that’s a great Cuban brand name. Are those things that you haven’t addressed yet? A: Some of those brands, like Warlock, we will continue to put in the market. Some others are being evaluated. The future depends on sales. If sales continue, we will decide if we want to continue with them. Or maybe we could revitalize the brand. And it has only been two years, you know. Give us time. Q: We haven’t talked about Trinidad yet, which I think is a great brand name for the country. A: Trinidad is interesting because it’s one of those brands that we think has some potential. With Trinidad we wanted to be more creative and to think outside the box. We came up with something that I would say is quite radical for us. The cigar is very distinctive, especially the taste profile. We use some Criollo, Corojo, some various different tobaccos from Nicaragua, and it’s a little fuller bodied. As you can see it’s box-pressed. This has had a nice following so far. We tried to take a step forward with Trinidad. The consumers will tell us if we are right or not. I have also encouraged small production, or limited-edition short runs, like the Sumum in the VegaFina line. That was very popular on the market. We did one with the Montecristo Epic, that iconic No. 2 size. Because we have these secret stashes of tobacco we can do some short runs that are exciting and really creative. The consumer will tell us if it is going to be for the long run or what things will not work. But we are doing different things, to be more creative more innovative, to adapt to the latest trends. In the market that we’re in, we know that the U.S. consumer is very loyal. But we also know that the American consumer wants to try things. And they’re very demanding. So we want to try to honor that, to try to do some things that are relevant and see if they are successful. Q: How do Montecristo lounges fit into that strategy? How many do you have at this point? Is that a program you think you’ll grow in the future? A: Point of sale is pretty critical, because we want to make sure that we help our retail customer maximize opportunities. How do you do that? It’s very important to reinforce the premium experience, so every time that a consumer goes to buy a cigar, it’s not just a cigar. It’s everything around that. Just by walking in one of these beautiful humidors, and seeing all the cigars, and getting all the advice and the recommendation of the brick-and-mortar people is very important to maximize that experience. We definitely want to and will have more programs in order to reinforce these premium experiences. The Montecristo lounge program is very important for us, so we are also working to see how we can expand and give value to that program. Q: How many lounges are there at this point? A: Twenty. Some are bigger than others. But it is one of the things we’ve been working on developing. We have better tools, better information that we can share with the retail customers. We try to also give them better materials, to have a more professional approach, and basically at the end the key is to work as a partnership with those people. This market is about relationships. So while we are also trying to honor that trust from these guys, there are some things that require time. But we want to be a reliable manufacturer, and we’re here to work with them and to have a win-win approach. Q: But how do you balance the demands of your retail tobacconists with the catalog business? Isn’t that a source of some suspicion with the brick-and-mortar outlets. How do you counter that? A: We try to come up with initiatives for each channel. I think that both channels have different dynamics and have different consumers. So what we wanted to make sure is that if we put something in brick and mortar, it’s for the brick and mortar. Q: What percentage of your sales are in brick-and-mortar tobacconists versus catalog? A: Regarding the weight of the sales, we don’t disclose that information. But I can tell you that both are relevant in the U.S. market, not only to us, but to the whole industry. But we are working with the brick-and-mortar side. For instance the new Romeo was exclusive to brick-and-mortar tobacconists. Other programs are open to everybody, including catalogs. We are trying to make sure both channels have the right tools to be competitive. In our case, we have a balanced business. But fortunately we have a good portfolio so that we can offer interesting initiatives for both customers. They are both important for us. Q: What about new brands? Will you be considering that? Is that something that down the road you see as an option? A: We have a very complete portfolio, so it’s not a priority to deliver new brands. However, we have a lot of opportunities to do things with existing brands that we have. And you will see more in the future. I cannot tell you about our plans at this moment. What we want is to develop and to put all our efforts in those brands that we think have the highest potential. And I think that we already made that choice in terms of the brands. But again I think that this is one of the assets that we have, which is having such a portfolio. I think that we have more brands that we increase their value in the market. Q: On the production side, what’s going on at Tabacalera de Garcia? Is it still the largest premium hand-rolled cigar factory in the world? What kind of changes have you implemented there? A: I don’t know about in the world but it’s certainly in the Dominican Republic or Honduras. We do have more than 2,800 people working in both factories, and we are producing up to 50 million cigars a year. But I’m glad you brought up the factory. Let’s go back to the process that we follow now to launch new cigars. The main change is that we are working closer with the real experts. Under this new approach, our marketing department talks with the real expert in each of the different steps that we have to follow. All these experts are under a common roof. It’s not only two people deciding, like it used to be. We are bringing all that knowledge in the company because that knowledge is unbelievable. They have been there for decades. What we are trying to do is talk with the real experts in blending, in the leaf department, with the packaging guys. That’s how we are coming out with these more powerful concepts. For instance, every week in the factory there is a tasting panel, a blind test where you try new things. But also we compare with what we have in the U.S. market, so that’s an important element. We are also developing a Grupo de Maestros (a master’s group), which is a group of people who are more senior and who play a more experienced role in our cigars. They are focusing in those projects that are at the higher end. For instance, the Grupo de Maestros is actually part of the Montecristo Epic program. Every box is signed by the Grupos de Maestros, the special group of rollers that create the cigar. They sign every box and sign off on it. This is something new, not just bringing the best rollers together, but recognizing them as the best rollers. We are getting them to buy into that and getting their commitment and their excitement and their engagement. Q: These are people who actually work on the factory floor? A: Absolutely. We are also working to share experience between both the factories, in Honduras and the Dominican Republic. We are also strengthening the links we have with the Turrents in Mexico and with our manufacturing partnerships, we are trying to maximize the flow of information and get the best practices in place. Those are big changes. These guys all need to know what is our strategy, and what are our future products, because that will determine the tobacco that they will buy, or the things they have to do. By sharing that information and to really work as a team, we are anticipating things that are helping us to come up with better cigars in the U.S. market. So I think that for me this is one of the key assets that we have as a company, to use all that knowledge and to make sure that everybody works in the same direction. Q: Are the leaf people spending more time in the farms and telling people what they want and how to grow? A: Leaf people are critical, because they need to understand what it is we want to do in the U.S. market and the purchases they make. One of the positive initiatives that we have in Altadis is that, because we are big, we can have access to the best tobaccos in the market. If we see that one year that specific crop of tobacco was good, we can decide to buy more, so we can properly age that tobacco. So working with the leaf personnel is critical. And this is why they need to know in advance what projects we are working on. Making a premium cigar is something that’s very artisanal and that needs time. So you cannot produce something that’s really good overnight. You need time and you need some planning. So that’s something that we’re working closer on with these guys. And these guys, they are really experts. And we are getting them involved in the idea generation process, their input is very valuable because they can tell us what’s going on outside the factories. Q: That’s a new process for you, right? A: That’s the point. The more people that have the information, the more ideas are being generated. We now talk to the leaf people all the time. They can now anticipate and say, “Hey, that could be something down the road that’s interesting.” And, because we’re closer on our side to adult consumers, we need also to provide those technical experts with that information, so they know what’s happening in the U.S. market. And that for me is the key, the ability to have that communication. Q: Would you call that a strategic shift? A: For me, it is about the team. The most important asset that we have in Altadis is the people. And I’m very clear about that. So I think that my job is basically to let those people do their job. We need to have a clarity about the direction of the business, and to transmit what we want to do. But our ability to use all that knowledge, and to transform that knowledge into specific and concrete things for the consumer is what is going to bring success. Q: What is your vision for Altadis U.S.A.? A: Everything is about keeping the business growing. In order to do that, it’s challenging but I think that we are ready. Basically what we need to make sure is that we keep developing those brands with the highest potential, that we make choices about where we want to invest. Secondly, we need to keep bringing innovation and credibility. We have to try to experience new things. We have great brands. We need to keep listening to our consumers and to our retail customers. That’s critical and we need to try to anticipate any potential trends or opportunities and at the key is being able to develop understanding of cigars. If we put a cigar in the market, we need to make sure that it responds to something, that it has a concept, that we’re appealing to a specific consumer, and have got a plan to support that. And by having that consistency, I think we can make that happen. And this is basically what we are working toward in the future. Q: What are your concerns going forward? A: It’s no surprise that the biggest concern we all have is the possible regulation of the premium cigars. We are working with the industry to show why the premium market is so special and so unique. At the end we are a very small part of the market. But consumers are very knowledgeable and experienced. Buying a cigar requires an investment in terms of money. The premium cigar industry does not represent any threat. We are working with organizations and the industry to try and show the difference of the premium cigar market. So that’s the biggest threat that we have at this moment in the industry. Q: Have things gone better than you expected for you here? A: I don’t know what is going to happen in the future. I think nobody knows. For me, it’s very clear is that this project in the end is very interesting if we show growth. And this is what we are all committed to, to maximize the opportunities we have in the market. I’m very happy because I have one of the best teams in the industry. So I’m very confident that these guys can achieve whatever they want if we keep working and keep engaging our consumers and our customers. So now we are in a very good position. We keep bringing relevant things for this market to remain competitive. But I think this is a tough market and it requires… it’s very demanding. It’s been challenging, but if I look backwards and I see everything the team has done, I feel very proud about their output.